1) Be willing to break the rules. 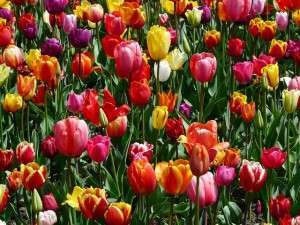 Have you ever seen the profusion of tulips outside the Library of Congress? The trick there is that gardeners break the rules. Read any bulb instructions or ask any nursery, and they will tell you to space the bulbs apart. The gardeners at the Library of Congress, however, over-plant tulips, putting several bulbs where most gardeners would put one. The result? A lush field of color. Your garden should be a place to try new things and to break a few rules. Experiment a little and don’t worry about following a specific guide. 2) Pay attention to shapes and patterns. 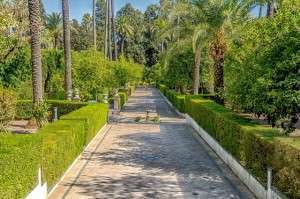 Some of the most beautiful gardens in the world don’t even have a huge profusion of flowers and plants. What they do have is structure. 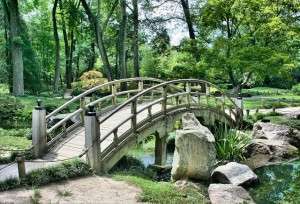 The top gardeners in the world use hedges, bridges, and other structures to create shapes and create visual interest. 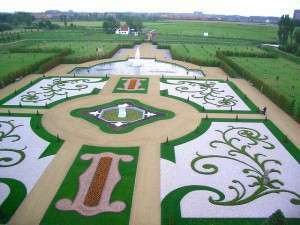 The Het Loo garden in the Netherlands, for example, uses intricate hedges and garden paths to create geometric shapes. The garden of Powis Castle in Wales is considered one of the most beautiful in the world and it uses carefully trimmed and shaped plants as well as ornate statues and terraces to create a beautiful tableau. Zen gardens often use precise gravel paths to lend shape and visual interest to a space. To recreate this same attention to structure in your own garden, start by taking photos of the space you have. Look for naturally occurring shapes and plants; consider ways you can incorporate them into a tidy whole. Use gardening software or a piece of paper and pen to make a plan for your garden. 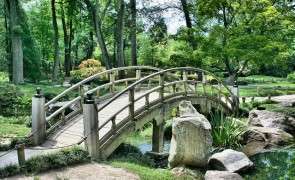 The most beautiful gardens in the world include fairyland-like elaborate forests, zen gardens, and everything in between. Take a look at garden styles and choose one that appeals to you. That said, avoid trying lots of different styles in one small space. If you opt for a country-feel herb garden, stick with that style rather than also trying to have a Japanese-style minimalist space. 4) Pay attention to your house and surroundings. They are part of your garden, too. Do you see the city in the distance from your yard? You need to consider how to make that view part of your garden (or how to shield it from view using a privacy screen). Is your house white or brick? If so, you can add vines or plenty of greenery by the house to play up the color. 5) Use color and light. When you decorate the interior of your home, you can use lighting and color to transform a simple room into something really special, and the same is true of your outdoor space. Many of the most beautiful gardens in the world make use of beautiful color to contrast with the green of hedges and grasses. The Portland Japanese Garden in Washington Park, for example, makes use of vivid reds and overhanging gnarled trees that provide shade. The result is an unearthly fairyland-like atmosphere. Central Park in New York City has overhanging trees along walking paths. In the autumn, these trees turn beautiful yellows and reds and visitors can sit under the trees to view the colors. 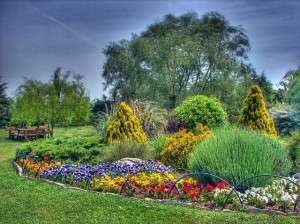 You can create some of the same effect in your own garden by choosing colorful plants. If you have a small garden, consider a modest palette of one or two colors – these can create a bigger and more dramatic impact than a confusion of colors. Don’t forget to consider autumn colors, as well. A tree that turns a vibrant shade in the fall will help you enjoy your outdoor space for an extra season. For lighting, consider a shady tree or an umbrella to create some shadows. You can also buy some garden lights to make your space look beautiful in the evenings. HGTV has a handy guide to choosing the right garden lighting. Are you inspired yet? If not, check out some of the most beautiful gardens in the world here or at this site. You may just find a few more ideas you can bring into your own green space. This entry was posted in Outdoor and tagged outdoors, useful tips on June 20, 2013 by A. Antonow. 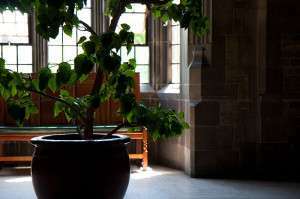 Many indoor gardens are a little sad, with a few scattered pots placed here and there in spots of sun. It doesn’t have to be that way. The best indoor gardens are designed with innovative containers and plenty of space. Need some inspiration? 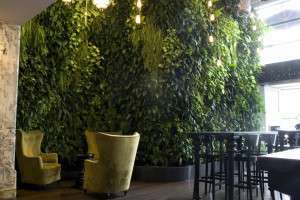 Check out the awe-inspiring indoor gardens here and here to get some ideas for your own green space. The most gorgeous indoor gardens have a few things in common: they are bold and create a sizeable green area. 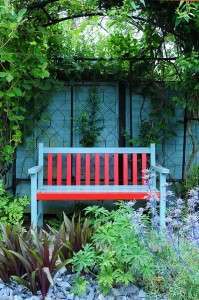 Rather than having a few smaller plants around, consider dedicating an entire space to your garden. If you live in a small space consider a wall garden, which allows you to transform a sunny wall area into a living work of art. You can find more inspiration here. You don’t have to have a green space to go green. Indoor composting has come a long way and today you can opt for special containers that trap odors and prevent flies. You can also choose vermicomposting. In this type of composting, red wiggler earthworms break down kitchen scraps faster, further eliminating the possibility of odor or pests. 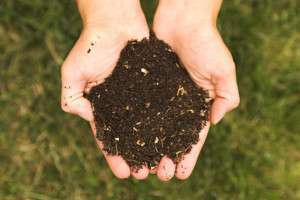 To find out more, check out the HGTV guide to indoor composting here. Kids love them, but you don’t need a rolling green to set them up. Many small sheds, playhouses, tents, playground equipment and other fun playthings for the great outdoors can be set up inside as well. Just be sure to read the set-up instructions to ensure that the item is safe to set up inside. If you need some ideas, this Pinterest user has tons of cool indoor tent ideas to browse. Look for non-toxic paints and materials when choosing your playhouses and playground equipment. Some companies make outdoor play equipment and playhouses just for indoor use, so the process of finding safe products is easier. For example, check out the selection at Cedar Works here . 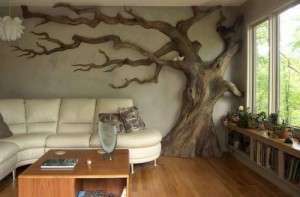 You can even build tree houses indoors. 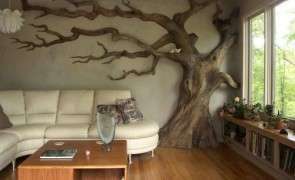 Browse the cool indoor tree house ideas at the Kidsomania blog. An outdoor grill is amazing for making veggies and just about any food taste better, but you don’t need a patio or yard to grill. 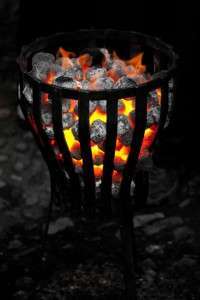 Of course, outdoor grills cannot be used indoors – they are a fire hazard and produce dangerous toxins. 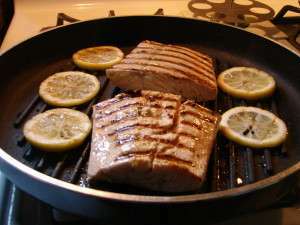 However, there are a number of indoor grilling options that can help you make those great summery BBQ dishes you love. There are contact grills as well as freestanding or open grills that sit on your countertop and more closely mimic the feel of traditional grilling. If you really love grilling year-round there are cooktops that come with built-in grilling surfaces. There are also kitchen appliances that act as smokers and rotisseries and can mimic the food you get from a barbecue. If you don’t want to invest a lot, your oven’s broiler setting and a good grill pan can help you cook your favorite outdoor dishes inside. Outdoor furniture indoors? It’s actually a well-kept interior designer secret. Patio furniture is a fraction of the price of a sofa or couch, is easy to move around for cleaning, and is practically indestructible. If you have a tiny patio or balcony attached to your condo or apartment, it’s a snap to move outdoor furniture outside in the summer. Even if you don’t, outdoor furniture is a great option for anyone on a budget and for anyone who has kids and pets. Patio furniture today is often quite stylish and comfortable, so you’re not sacrificing anything. If you wait until later in the summer to buy, you’ll save even more. Love the idea of curling up with a book under the leafy canvas of a tree? Love the look of tree-lined streets? Believe it or not, you can bring trees indoors – and not just at the end of the year, when the holidays come. Container trees look great and if you opt for citrus trees you can enjoy a great scent and even lemons for your meals. Gardenista has a great guide to indoor citrus trees here and HubPages has a list of great trees to plant indoors here. Can anything compare to swinging in a hammock on a summery day, a good book and a glass of lemonade by your side? You don’t have to live in a green area to enjoy this. There are plenty of hammock solutions for indoors. If you want a combination of bed and hammock, for example, the Floating Bed company has a range of products here. If you want a more traditional hammock, you will generally need two sturdy walls to hang your hammock. You can get some ideas here. Companies are already finding new ways to bring the outdoors in. For example, Philips has crafted an urban beehive design (seen at this site) which would potentially allow urbanites to make honey indoors. While we’re not quite there yet, there are plenty of ways to transform your space into something gorgeous – even without a yard. This entry was posted in Outdoor and tagged how to, outdoors, studio apartment on May 16, 2013 by A. Antonow. 1) Invest in good lighting. Good lighting deters vandals, trespassers, and burglars. It also ensures that when you (or guests) are approaching your door at night, the property is lit well enough to prevent any trip and fall injuries. 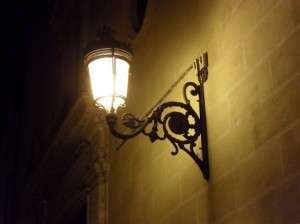 Outdoor lighting that is motion-sensitive is especially a good choice if you are worried about trespassers. Timers are also a great deterrent if you travel often. The DIY Network has tips on how to install lighting yourself. 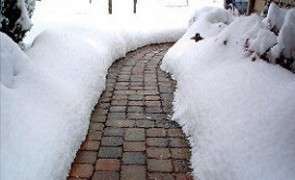 2) Keep your property clear of snow and ice. Each winter, many emergency room visits are caused by slips and falls on the ice. 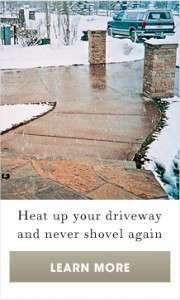 In addition, each year thousands of homeowners are seriously injured when trying to clear snow and ice from their properties themselves and spend a lot on grounds care companies. 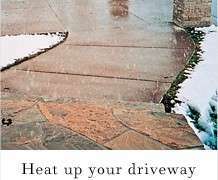 Increasingly, homeowners are investing in outdoor ground heating for this reason. 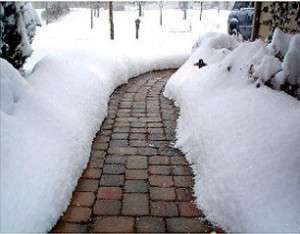 Heated walkways and driveways clear every trace of snow and ice automatically, saving you back-breaking work and ensuring that your walkways and driveways stay clear all winter long. 3) Keep plant life under control. Overhanging branches and tall grass are a risk for yourself and for visitors. Keep your garden trimmed back and ensure that walkways, especially, are clear of straggling plants that can trip you up. 4) Secure pool and water areas carefully. 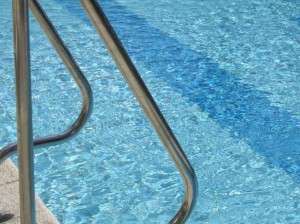 Ponds and pools are attractive to children and if a child wanders into your yard, he or she could be seriously or injured in an unsupervised pool. Pools and ponds should be surrounded by fences that have self-locking gates. For added protection, you may want to install a motion alarm that alerts you if you have an intruder in the area. 5) Do a safety walk-through regularly. Regularly check your property for hazards that could be a risk for yourself or others. There are good online checklists that can help you notice and fix any hazards before they become a problem. Keeping your property safer can make your home safer for your family and for anyone who visits your home. A little forethought can help prevent tragedy and costly legal action, so consider: how can you make your home a little safer today? 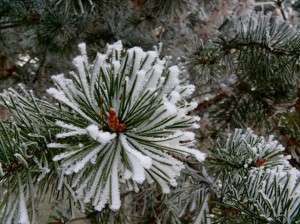 This entry was posted in Outdoor and tagged how to, outdoors, useful tips on February 28, 2013 by A. Antonow.